Punch cards available for members for $40.00 for 11 sessions. Click here to view the Hartland Pickleball web site. Mondays 2:05 p.m. - 4:00 p.m.
Tuesdays 11:00 a.m. – 3:00 p.m.
Fridays 12:00 p.m. – 3:00 p.m.
Sunday 9:00 a.m. – 11:30 a.m.
We have adult pickleball Monday evenings from 8:00 p.m. - 10:00 p.m. The drop-in cost is $5.00. Age 16 and older. Pickleball is also being played in Swartz Creek at the Cage Field house at 4110 Morrish Rd. 3/4 mile north of Miller Rd. Monday - Friday from 9:30am - 12pm year round. $5 per person or a punchcard of 10 visits for $40. For more information call 810-591-4388. Pickleball fees have been raised to help pay for any new expenses occurred for our outdoor courts, most importantly windscreens. The members of the Pickleball committee are Ken Waite, Jim Parker, Jan Doke, Kurt Lentz, Owen Papke, and Nancy Fritch. 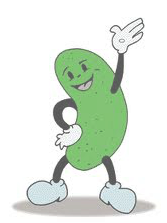 If you have any questions or concerns with the Pickleball program please bring your concerns to anyone on the Pickleball committee. 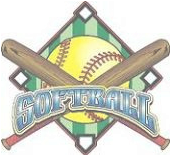 If you enjoy watching good competition you may want to watch our softball players in competition on Wednesdays at 10:00 a.m. at Tags softball complex near Striking Lanes on Old 23. ​First day of league play starts early May (2018 dates TBD) at 9am, shotgun start at Hartland Glen Golf Course. Green fees are $192.00 for the 16 week season plus $30 for prize money. There will be a meeting in April at 9am at Hartland Glen Golf Course. Please bring payment of $222.00 ($228 + $30) cart fees not included. Payable to Deborah Barnett. If you know anyone interested in joining our league, have them contact Debbie Barnett at 810-629-5035 or Merlin9465@aol.com. First day of league play starts in early May (2018 dates TBD) at 9am, shot gun start at Hartland Glen Golf Course. Green fees are $228.00 for the 19 week season plus $30 for prize money. There will be a meeting in April at 9am at Hartland Glen Golf Course. Please bring payment of $258.00 ($228 + $30) cart fees not included. Payable to Merlin Barnett. If you think of someone who would like to join our league as a regular or a sub, please have them contact Bud Barnett at 810-629-5035 of via email at Merlin9465@aol.com. Starts in May at Hartland Glen Golf Course, weather permitting. Sign in at 9 a.m., shotgun start at 9:15 a.m. Cost is $20.00 for 18 holes of golf including a cart plus $3.00 towards prize money. Play is open to golfers of all levels. Teams will be chosen each week by a random draw. Come join us for a relaxed and fun round of golf. Any questions, contact melting248@gmail.com. Our bowling league meets on Fridays, 1:00- 4:00 p.m. starting in September at Striking Lanes Bowling Alley. This is a non-sanctioned league. If you are interested in joining the league or subbing please call Richard Cockrell at 810-229-1649. Cost is $10 per person. Join us on Tuesdays and Fridays at 10:00am as this new activity gets off the ground. Newbies and Ringers are both welcome! This program is currently free as we build capacity. All equipment to start the program has been donated - as we grow and equipment needs to be upgraded or increased - we will charge $1 to play. Bicyclists unite! We have about 10 cyclists who meet once a week at a designated location. ​ Please contact the office if you are interested in being part of this newly forming group and we'll add you to the email list. You can also email Kate at semikate@gmail.com for more information or get on the contact list.